Dishes and Modems and Feed Arms, Oh, My! May 20, 2017 May 20, 2017 bjnolleyLeave a comment on Dishes and Modems and Feed Arms, Oh, My! Originally published on Wednesday, May 7, 2014. Both StarBand and HughesNet improved their hardware and software. Life kept getting easier for the mobile users. I should probably mention that all of the equipment discussed is Ku-band satellite equipment. Ku-band services have huge coverage areas, which is why you can move the equipment around (be mobile) and still get online. 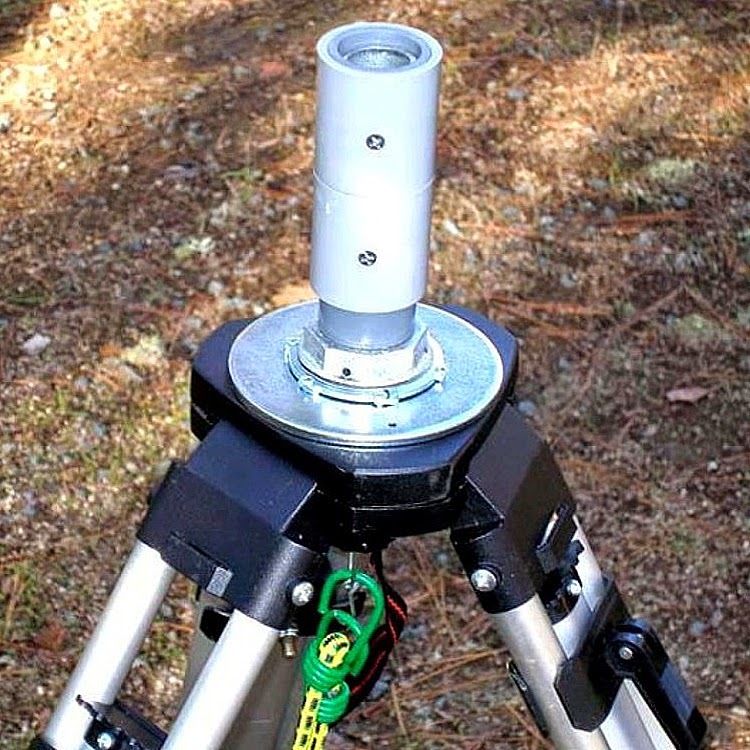 The newer Ka-band services were not be discussed when this blog was originally published, since they are spot-beamed and the equipment couldn’t be moved. However, very recently an authorized HughesNet Gen 5 mobile satellite Internet service was released and you can now move from beam to beam! More about this later. I mentioned that StarBand went from the StarBand 360 to the self-hosted StarBand 481/484 modems. The biggest and most welcome change was getting away from the need to install software on a PC. 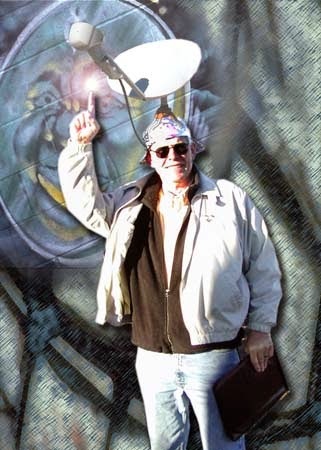 Not only did the communications software tend to cause problems on the PC, but it was also more difficult to network, especially for Macintosh or Linux computers. The modems all had ON/OFF switches. All three of the modems used the same outdoor equipment, called Phase II. Note in the photo that the StarBand 481 modem has only one Ethernet port, whereas the 484 has four. The 484 had a built-in switch and the service it came with included four public IP addresses. (There were actually six IP addresses, but they only told you about four of them.) 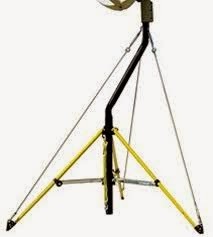 The earlier Starband equipment is shown below. 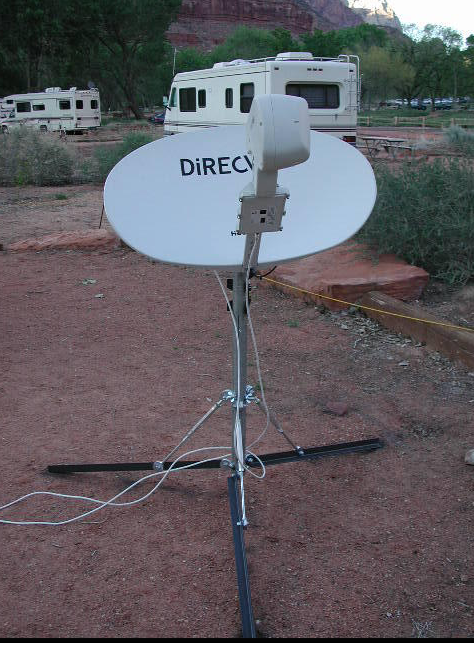 The current equipment includes Phase III outdoor components and a StarBand Nova SkyEdge modem. There were two versions of the modem and neither had an ON/OFF switch. The newer version was slightly smaller and the serial port was an RJ-45 plug, like the LAN port. The older version had a standard DB-9 serial port (shown below). 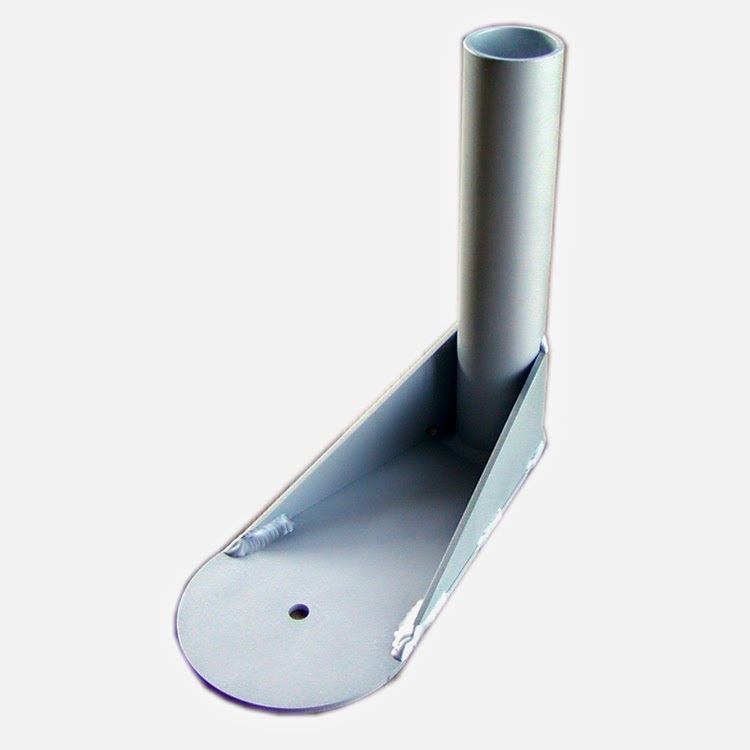 The Phase III arm is longer than the Phase II arm and was square-shaped, rather than rounded. The longer arm resulted in a signal with lower cross-pol interference, but a weaker signal. The dish was slightly more elongated, which also contributed to the weaker signal. 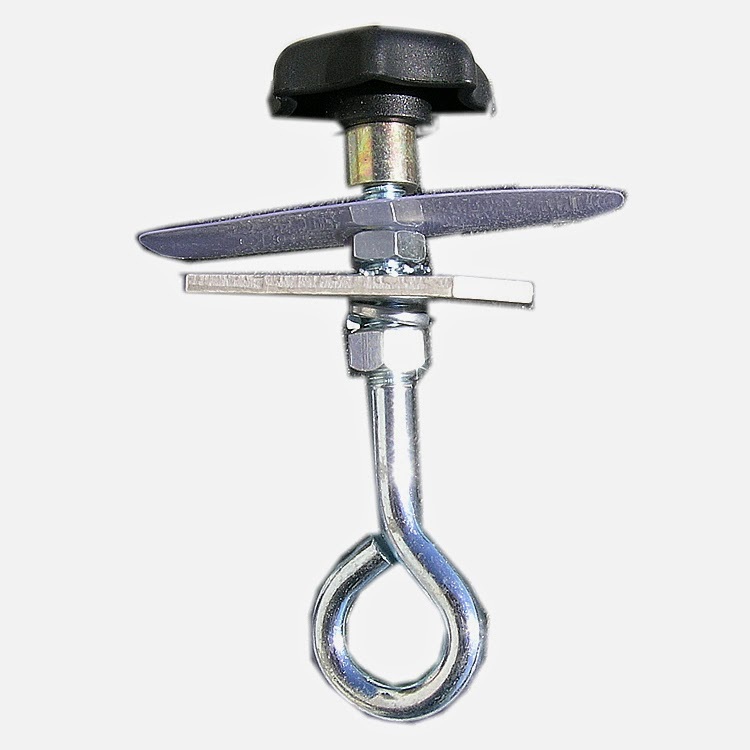 The equipment is shown below. Unfortunately, Spacenet, the parent company of StarBand was bought by another company interested in the Enterprise networking aspects of Spacenet, so StarBand died a slow death by starvation of resources and was shut down on September 30, 2015. HughesNet went from the DW4000 to the DW6000, and then the DW7000. Like the StarBand 360, the DW4000 needed software installed on the PC; like the StarBand 481/484, the DW6000 and DW7000 did not. Once wireless routers became available and affordable, you could hook a router up directly to the modem. There was a version of the DW4000, the DW4020, which included a router, so you could plug in multiple devices. 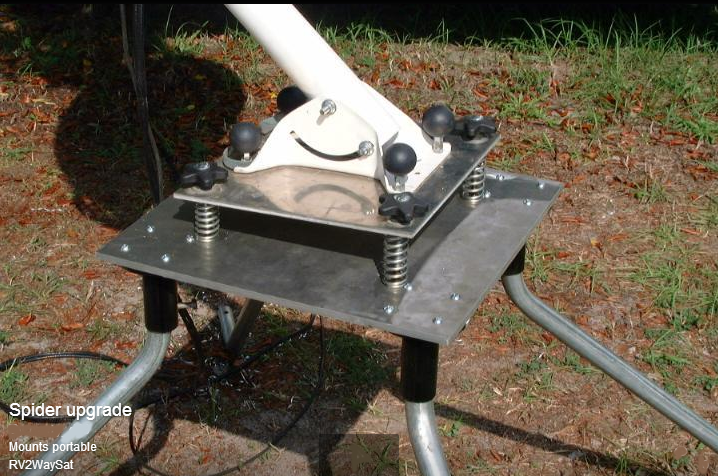 The tripod setup in the middle shows the white fiberglass dish and feed arm that came with the DW4000. Note that the transmitter is permanently connected to the feed arm. The DW6000 and DW7000 came with a gray Gen V fiberglass dish … and, the radio assembly on the Gen V feed arm could be changed. 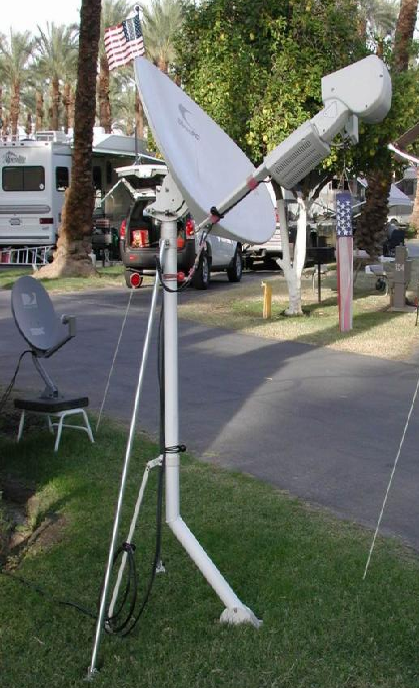 The fiberglass dishes are still used by mobile HughesNet users, because they are practically indestructible, as long as they don’t blow over in the wind! The newer metal dishes can become bent or warped and they will no longer function. The still current HughesNet Ku-band equipment uses the HNS7000S modem. Previous equipment all carried the name DirecWay, as the service was called, but with the last generation of the modem, HughesNet dropped the DirecWay designation and used the “HN” for HughesNet in the modem name. There were different metal dishes used, each with a unique feed arm. On the left is the Raven outdoor equipment, which was replaced by the Prodelin outdoor equipment. There have been more than one model of both Raven and Prodelin equipment. 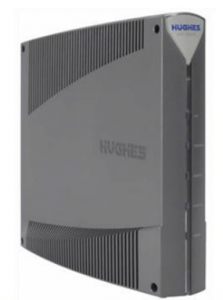 The HN7000S will probably be the last Ku-band modem that HughesNet sells. They have launched several of their own satellites, which use the higher-frequency Ka-band and they have outsourced the remaining Ku-band services to several VARs. Little by little, HughesNet is phasing out Ku-band services as the transponder leases HughesNet has on satellites owned by other companies expire. However, as of 2017, there are still a few mobile users out there traveling with the HN7000S modem and Ku-band service. But, now that there is a blazingly fast Ka-band mobile service available, most of these users will start switching to the new Gen 5 Ka-band services. Gen 1 – DirecPC: If you remember from earlier, this was a one-way satellite service that used a phone line for the uplink (called dial return). The maximum download speed was 400 Kbps and, of course, we know how slow the uplink was (56 Kbps). Gen 2 – Direcway: Hughes calls everything from the DW4000 to the HN7000S to be Generation 2. It was all 2-way Ku-band services. At best, it provided a maximum of 1 1/2 Mbps down and 256 Kbps up. Gen 3 – Spaceway 3: Hughes considers this their 3rd generation. It provided the first HughesNet Ka-band services and provided up to 5 Mbps down and 1 Mbps up. 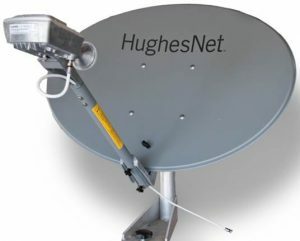 Gen 4 – HughesNet Gen 4 services on the Jupiter 1 satellite (Echostar XVII) were sold until about a month ago. Maximum download speeds were 15 Mbps, with 3 Mbps up. There was an HT1000 and an HT1100 Modem. 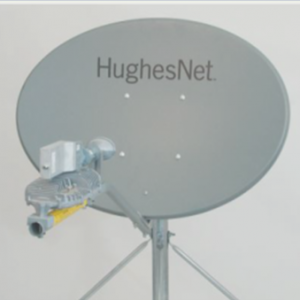 Gen 5 – Hughes launched Echostar XIX in December 2016 and The HughesNet Jupiter 2 Gen 5 services went live nationwide in March 2017 and the first authorized tripod-based satellite program was released through the VAR channel in April 2017!Jupiter 2 uses the same antenna, though there is a new smaller radio, which looks like the one used with Jupiter 1 services. Jupiter 1 will continue to provide Gen 4 services during the transition, but eventually will support Gen 5 services in it’s coverage area. The new modem is the HT2000W, with the “W” for the built-in wireless router! Speeds are up to 25 Mbps down and 3 Mbps up! But, initially, speeds are even faster! That’s all for this entry. Next time, I’ll talk about the Satellite Rallies we held from 2003 through 2007.